Most people do not realize that carbon monoxide poisoning can cause serious injury and death. Carbon monoxide is known as the silent killer and CO poisoning affects more than 20,000 people every year in the Unites States and carbon monoxide fatalities average about 500 each year in the U.S. The saddest part is that almost 100% of carbon monoxide related injuries and deaths could have been avoided. Carbon monoxide poisoning happens when carbon monoxide leaks into an enclosed area where people are present. When a person inhales this deadly colorless odorless gas, it will lead to a lack of oxygen in the brain and eventually cause death in long term exposure. Carbon monoxide poisoning is very deadly since most people are not able to discern that they are actually breathing the deadly gas as they are being exposed to it. Carbon monoxide is commonly referred to as the “silent killer” because it is a colorless and odorless gas. The initial signs of CO poisoning include headache and stomach nausea and since a person cannot see or smell the deadly gas they oftentimes will not realize that they are slowly being poisoned by CO. Precautions should be taken to avoid any CO exposure at work or home. Carbon monoxide alarms are available for purchase at all major retailers and are an inexpensive life saving device. Don’t take the risk, when it comes to your family, safety should be the number one priority! If you or a loved one has suffered any form of carbon monoxide poisoning, you can take action. In many cases the person affected is not at fault. There are many different parties that could be responsible for carbon monoxide poisoning, such as: Car Manufacturers, Appliance Manufacturers, Home Developers, and Apartment Complex Management. Do not delay, if you or a loved one has been affected by carbon monoxide poisoning call Link & Smith PC today. 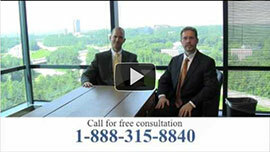 Link & Smith PC has experience in handling these types of cases and has a proven track record. Link & Smith PC will fight for the results that you deserve.